If you have not visited Guntersville Lake since this past spring you may be missing some of the best bass fishing in Alabama! Maybe even better than you have seen in years! I know it is the best I have seen in many years, since I first fished Guntersville lake over 30 years ago. These are shallow, rather easy to catch bass, any angler would love to do battle with. Its going on every day but picking the best days involves choosing weekdays and fishing on cloudy or rainy days. When most anglers are not on the water. 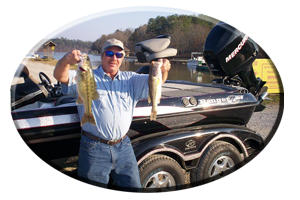 Guntersville lake is loaded with all types of aquatic weeds such as milfoil and hydrilla. It also has some very scummy backwaters and some places with very thick Lilly pad fields. No matter where you choose to fish using weedless lures is a must! Also come prepared with strong dependable line. Some anglers use braided line, others swear by fluorocarbon line and other anglers just use strong monofilament in the 17- 20 pound test category. Regardless of you choice keep in mind there are some very big bass in this lake. My advice? For now, leave the light tackle stuff at home. As they say, Come loaded for bear! I’ve taken hundreds of anglers to Guntersville lake over the past 30 plus years and I always tell them ahead of the planned trip the same thing far ahead of time. 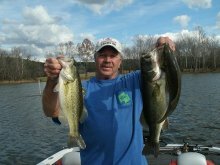 Yet there is always some angler that arrives at Guntersville Lake with their reels loaded with 10-12 pound test line, thinking it will be OK. Often its not. Like I always say, why go after an elephant with a BB Gun? So think big. Be prepared. Do not go back home with the old tale of the one that broke your line and got away. Everybody has heard that one! Good knots, strong line, sharp hooks and a good rod and reel are all that’s between you and the bass of a lifetime. This includes a good net and good net man, for times when you do get that bass almost in the boat. A lot of big bass have been lost at this crucial moment when all else has held up. Always instruct the net man to let you lead the bass into the net. Tell him / her to submerge the net up to the handle and you will do the rest. 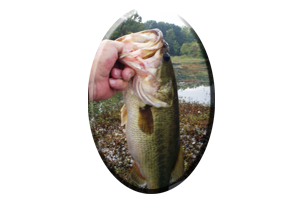 There are many lures in this weedless category, some lures unheard of, some lures most anglers fish. Anytime I head to Guntersville lake there are some regular lures I suggest my clients have tied on. BUZZBAITS – These irritating surface lures cover water fast and get strikes on days when you least expect it. Have plenty of choices on hand. Small buzzbaits, or big buzzbaits, noisy clacker-type buzzbaits, or those that emit little noise, should all be tried until the bass tell you the type they like best. Heavy line is a must. Always include a trailer hook, at times we even use a treble hook trailer for short strikers! FROGS AND RATS – These lures can be “the lure” on some days, so bring plenty of choices and always experiment with all types of frogs and rats, various colors and lure actions, different sizes and try various retrieves. Some days they want them slowly moving, other days hopped in and around the weeds and on some days really moving these lures, gives the bass little chance to really scrutinize the lure, resulting in an instinct strike or blow-up. FLOATING WORMS, SOFT JERKBAITS AND LIZARDS – These are plastics that will always generate some strikes. * Floating worms such as Zoom’s air injected trick worms can be deadly on Guntersville’s lure conditioned bass. 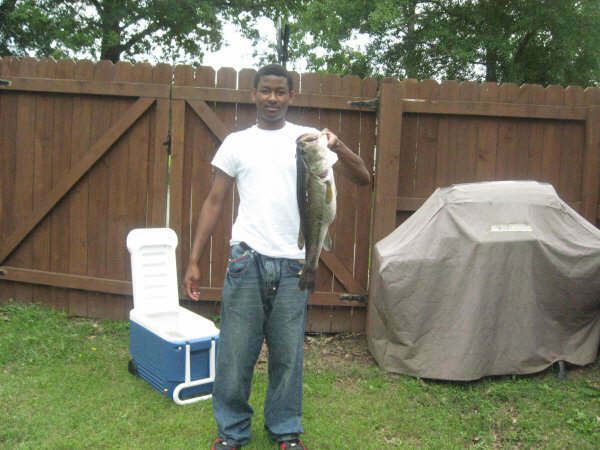 Although colors of white, limetreuce and bubblegum are bright and gaudy colors they do fool some big bass into biting. You can see these colors better while utilizing a good pair of polarized sunglasses, wearing a wide brimmed hat and fishing with the sun to your back. Adding scents and rattles may help. Use a 3/0 to 4/0 EWG Gamakatsu hook. * Soft Jerkbaits come in all sizes, shapes and colors. 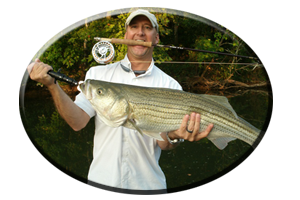 There are also just as many companies that make these enticing lures to choose from as well. Each angler has a certain preference. This leads to more confidence, so choose soft jerkbaits you like! Always use a good sharp hook that will penetrate the thick plastic bodies of these lures when you get a strike and always set the hook hard, but only after the lure is gone or you actually feel the bass. * Lizards are thought of by most anglers as using them Texas rigged or Carolina rigged. Seldom do anglers fish lizards rigged weightless. Rig the lizard by bringing the hook out of the throat of the lizard, Texas style with absolutely no weight. This allows the lizard to ride high in the water, just like a real lizard that swims with its head held high. Retrieve it just like you would a buzzbait. But slowly. Like the Floating worms and soft jerkbaits, wait until you feel the bass or see the lizard disappear before setting the hook. NOT SO WEEDLESS LURES – Lures with dangling treble hooks are usually frustrating to fish on Guntersville Lake with so many weeds that snag the lures hooks. But fishing lures like Zara Spooks, Sammies or popping type topwaters and prop bait lures can be very rewarding while fishing along weed edges. Weedy points are a good example of the use of these and other lures. Cast far past these weedy points and make the lure get as close to the weeds as possible. To enhance this technique, fish windy weed points on all sides. 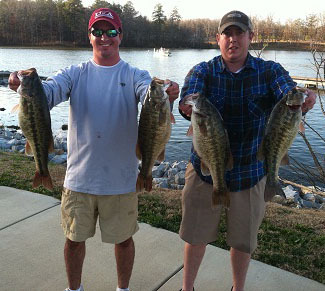 Fishing Guntersville Lake this summer season can evolve into the use of many lure types. There are some lures many anglers do not even use anymore, due to newer lure choices. 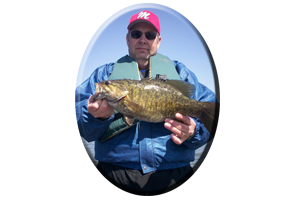 Older model lures are not seen as much by these bass and some lure types still fool bass when other, newer lures fail. How long has it been since you have fished a Johnson Silver Minnow weedless spoon? Or a Snagless Sally, an inline spinnerbait. Or do you even own a rooster tail? These are just a few lures to try day or night. How about a Hula Popper? Or Jitterbug? They still work as well. 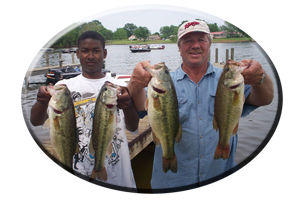 Give Guntersville Lake a try this summer season. Or call on Reeds Guide Service (205) 663-1504 for fishing any lake in Alabama year round. Night fishing trips now being offered as well.